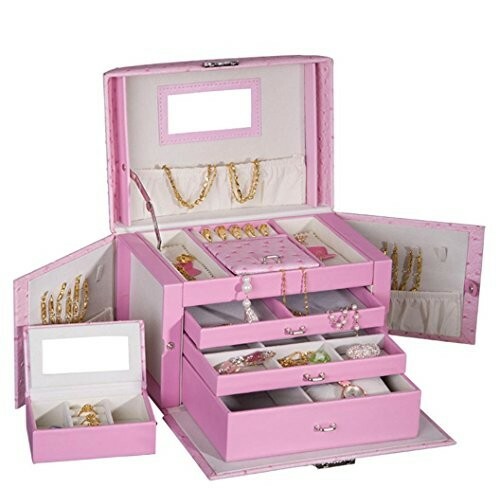 Locking jewelry boxes stand for an amazing and very efficient way of storing and displaying all sorts of jewelry that will both exhibit your collections in a beautiful manner but also keep them well protected as well! Thanks to their locking mechanism, your products will be secured all the time and you will never have to worry about their safety! 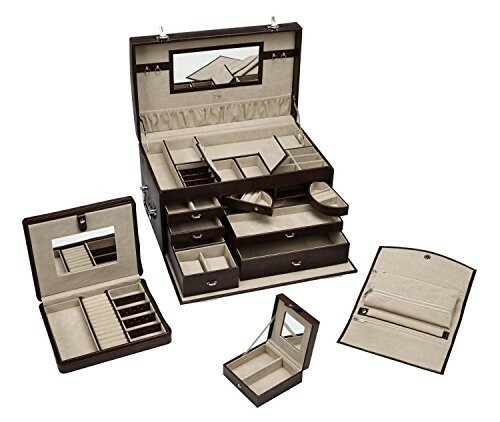 Locking jewelry boxes have also got a wide range where you can readily choose the ones that appeal to you the most. They can be large cabinets, organizer, jewelry chests and so on, or they can have small and space-efficient shapes, depending on what you are looking for. They are all perfect for transporting your jewelry as well, even more so thanks to their lock! 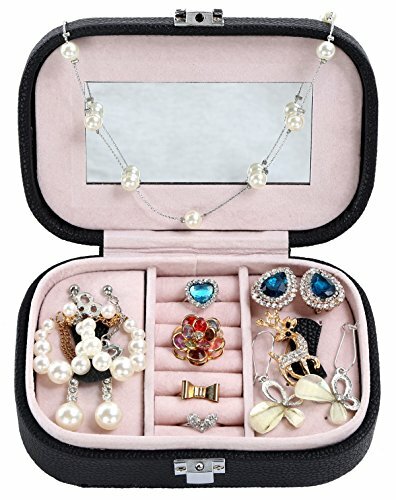 These jewelry boxes are great at organizing your entire jewelry collection, so you will have your jewelry products well and intelligently sorted as well. The boxes are usually manufactured out of solid wood, which also ensures their durability and sturdiness in time. They may be brown, black, white colored or they can also be sporting beautiful and cheerful colors such as bright red, pink and so on and so forth. 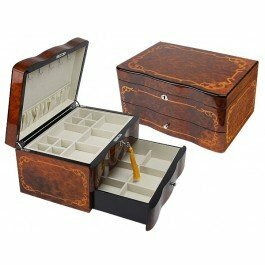 Some jewelry boxes are elegantly polished and they have a gorgeous and attractive modern look, while others are sporting amazing and astonishing rustic designs for any fan of vintage and traditional designs! The jewelry boxes are also already equipped with the locking key as well. 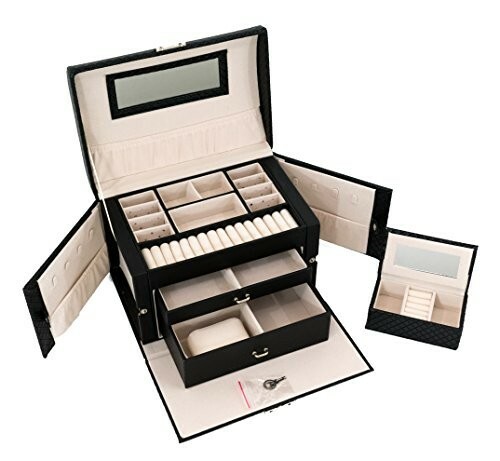 Their wide range of variety ensures that all kinds of jewelry products will be well stored and organized thanks to these wonderful jewelry boxes. 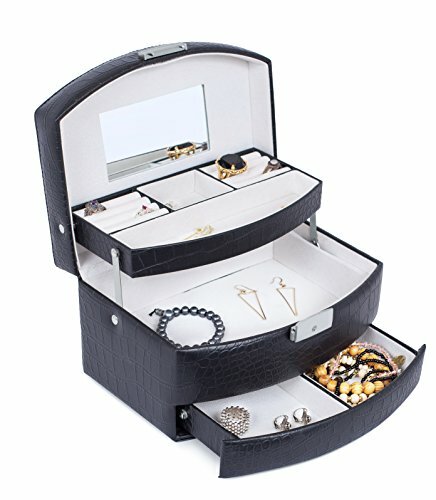 Our website features an entire collection of these beautiful and highly functional locking jewelry boxes so we invite you to check out our gallery and choose the boxes that suit to your taste and needs the most!